From 17th to 18th March, the Balinese people will celebrate Nyepi or the day of silence. For one day, the airport will be close, all tourists places are not operating, and the streets will be empty because everyone are encouraged to stay at home. 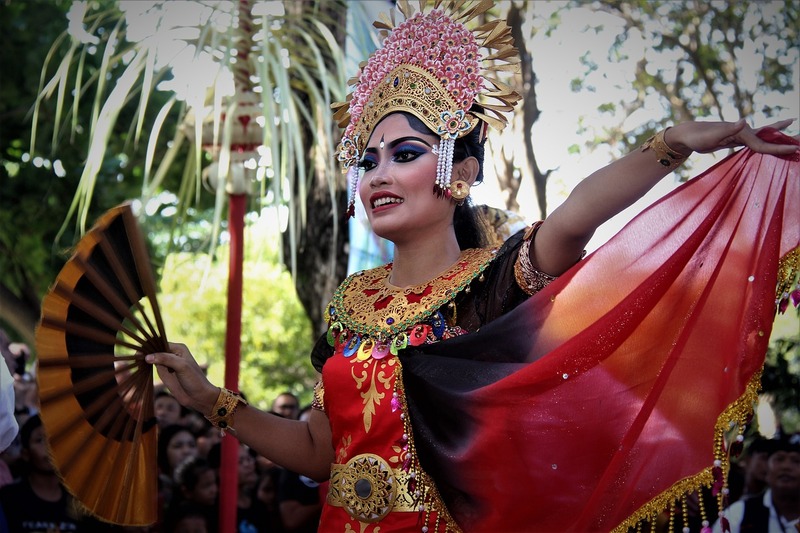 The Nyepi Day in Bali 2018 marks for Hindus to welcome the new year. The practice of Nyepi ritual had existed since the ancient Hindu kingdoms period in Indonesia. However, since nowadays Indonesia’s population largely consist of Moslem, the Nyepi Day is only heavily celebrated around the region of Bali. Before the day of Nyepi, the locals are preparing themselves for the main event through doing various rituals. The Bhuta Yajna ritual for instance. For this ritual, the people crafted ogoh-ogoh, a demonic figure in Hinduism believes, paraded it over the places and then burned to banish evil spirits. This ritual is aimed to restore balance in life and giving the chance for everyone to have a fresh start. After the parade is over, people dancing around the street and having feasts with their friends and family. Meanwhile, the Melasti is all about purification ceremony. For Balinese people, water is considered as the source of life. The water will cleanse out the bad deeds in people when it pours above them, and their sins will left away in the ocean. That’s why the Melasti ceremony is often celebrated at beaches. Weaaring all white, a group of people will be doing the ritual by marching around and visiting natural water sources, such as lakes, water springs, and ocean. For the priests, Melasti is also the time to clean the sacred relics from temples with holy water. The ‘washed’ relics then are carried around the village as a protection from the evil. 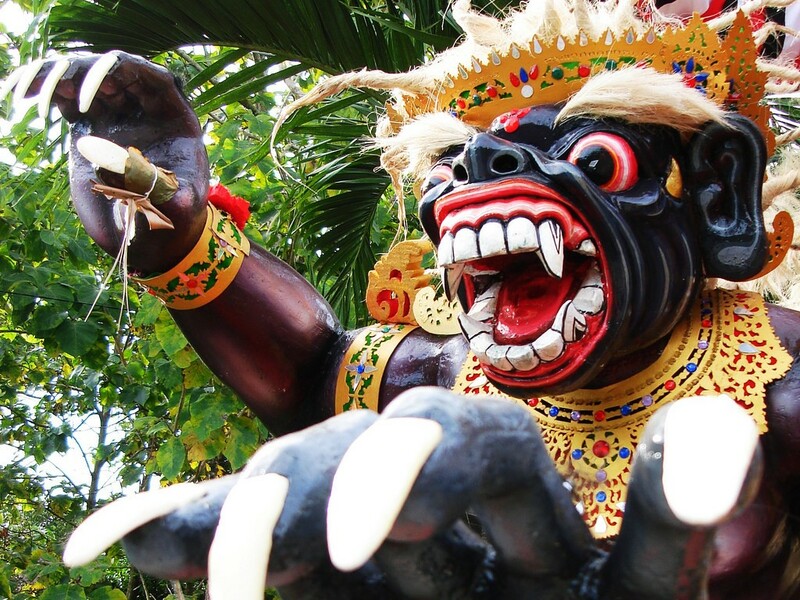 After all rituals are accomplished, the next morning is the day where the Nyepi Day in Bali starts. The Balinese Hindus follow four ritual acts for their Nyepi day, called as the Catur Brata Penyepian, or the ‘Four Nyepi Prohibitions’. These prohibitions include no use of fire (amate geni), no travel and commuting around (amati lelungan), no activity (amati karya), and no entertainment (amati lelanguan). There will be no lights to turn on at night, which make the island is surrounded in total darkness. The local people usually spend these times to fast and reflect on their life moments. For tourists, staying in hotel is the only option that they have during the Nyepi Day in Bali. While some of them decide to flee away for escaping the Nyepi Day, there are also many tourists consider to stay. It is regarded as a unique experience since the Nyepi Day in Bali gives such powerful impact to shut down a whole province’s activities, and participated by people outside Hindu religion. 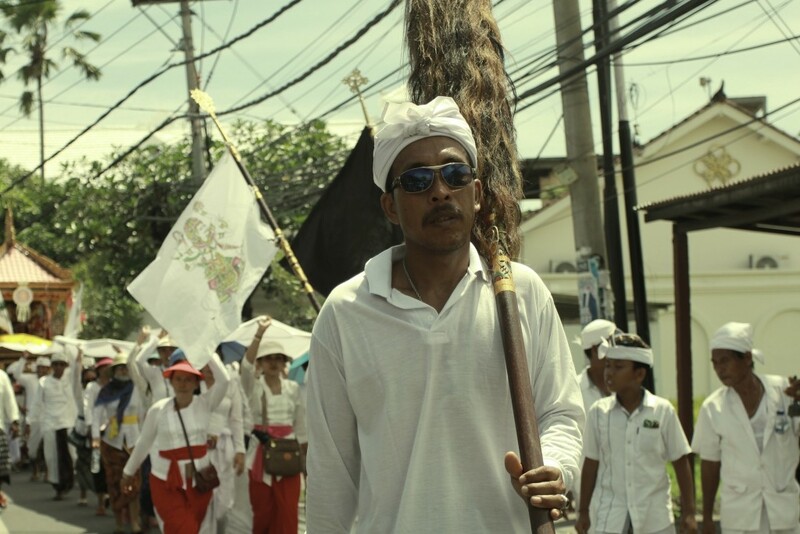 Regardless of their ethnic identity and religion, the rules of the Nyepi Day is applied for everyone staying in Bali. The Nyepi Day symbolizes as an act of toleration and solidarity. It is the beautiful moment to wind down your body and soul after competing with stressful things in life. Since average Bali hotels price are lower in the Nyepi Day, you can get great deals while coming to Bali right now. We provide services to help your booking process faster and easy. Off the coast of Sanur, Bali, lies an island called Nusa Penida. Famous for its naturally carved mineral and clear blue water, this island is genuinely one of the most beautiful islands in the Bali province. As tourism is rising on this island, this island had become more accessible to tourist. Additionally, everything here is delivered and supported by the local, making everything is relatively cheaper and you will directly support the local. 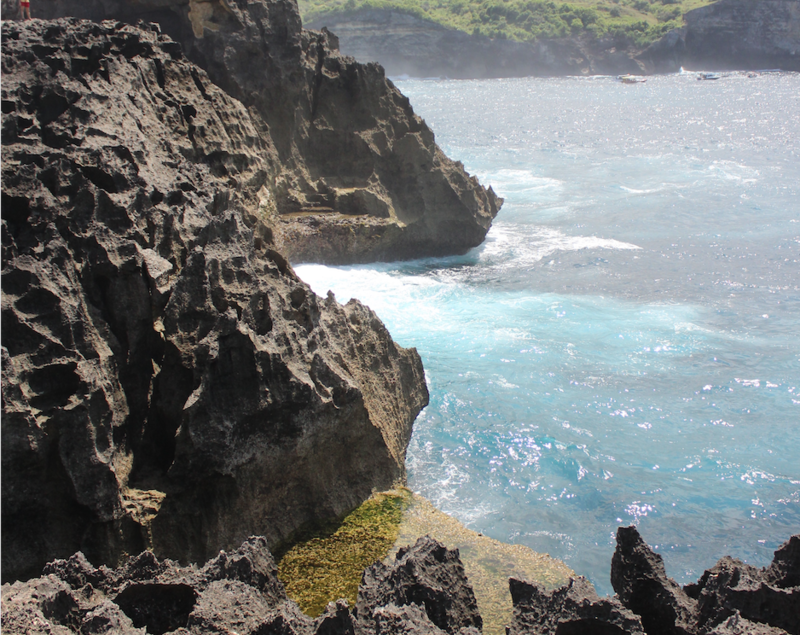 Here are some spots you might take into consideration while visiting this amazing island. Let’s start with the most popular one, you might already saw this beach somewhere from the travel magazine to tropical house music’s cover. You have to experience this stunning scenery with your eyes, as according to me, the camera didn’t do justice to capturing this beauty. The beach itself is surrounded by massive rock carved from the wind and the ocean throughout decades. As this mineral sit here, vegetation grew on them giving the authentic scenery that you can find exclusively on Nusa Penida. It’s not recommended to hike down the rocks as it is quite far down with challenging track, it would take you one hour to hike down and another hour to hike up. However, you’re more than welcome to hike down this spot as it will reward you with even more stunning view on every corner. Not far from Angle Billabong, lies the Broken Beach. This beach used to be a massive cave; nonetheless, the roof collapsed exposing the natural beauty of beach underneath the cave. This spot is definitely a place you don’t want to miss as the natural beach caged with surrounding rocks is considered very untouched. The beach itself can be considered as a virgin beach due to its inaccessibility from the ground. 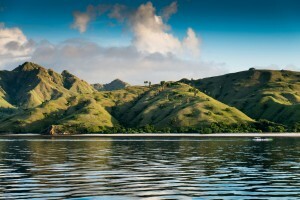 Both of this spot is in the remote area of the island; thus, having knowledge of the area and spots is crucial. Yet, this place is swarmed by local and international tourist. Raja lima or five kings is the cluster of exposed minerals that had been eroded over time, some of the mineral breaks of from the main island and turn out to be the towering rock with vegetation on top of it. In addition, there’s accommodation in this area called ‘rumah pohon’ so you can stay here to enjoy the sunrise where the cottage is literally built on the side of the cliff, exposing all the nature and beauty like no other place. Similarly, Atuh Beach beach offers clean and untouched sands and water; however, unlike most of the beaches we have mention, you can swim and dive in this beach, just be careful of the raging waves. Both of this amazing scenery is in the most western part of the island. Hence, it is recommended for you to stay on this island overnight rather than to drive directly from the port (eastern island) to this spot. 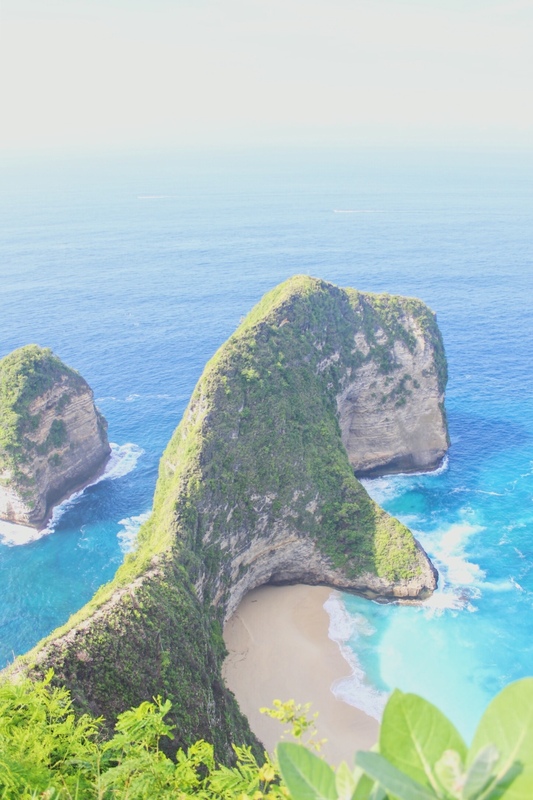 Obviously, this article didn’t cover everything Nusa Penida has to offer, you can hike their mountain, snorkel and dive to catch manta ray and underwater Buddha, or do an island hoping to Nusa Lembongan or other islands in Bali province. The choice is in your hand and you can decide what suits you and you can consult with our friendly trip advisor to plan your trip. It’s huge, it’s intimidating, and it’s here. The Bali’s Mt. Agung decided to flex some muscle and got people to shake their legs. But, is this something to be concerned about? 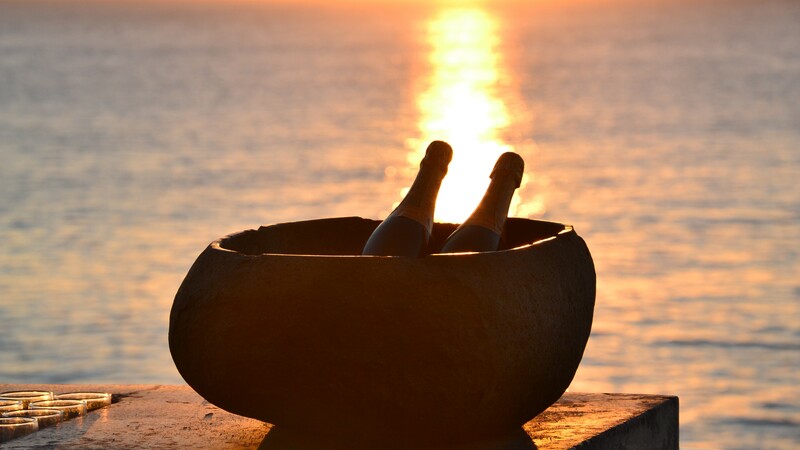 Or can we enjoy our glass of margarita underneath the Kuta Sunset? Bali is a massive island. It would take you 3 hours to drive from Denpasar to Mount Agung. In addition, Bali is the 14th biggest island in Indonesia, and literary 8 times bigger than the country Singapore. There’s a significant chance that tourist and other expats won’t be residing in the impact area. Mt Agung itself is located in the northern part of the island, on the Rendang District. With only 30,000 people lived there, it can be considered as one of the most isolated locations on Bali. It’s not pretty yet it’s the truth. 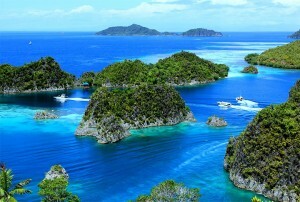 Indonesian is the most volcanic active country in the world. Volcano eruption and minor earthquake can be experienced weekly around Indonesia. However, this result in Indonesian government strategic plan and detailed observation on every volcano around the country. This plan is called operation MRDID012; with detailed plan from early evacuation, to intense realtime watch on the volcano, our government had a very secure information about every site in the country. The number is in, and there are no life casualties resulted from the eruption. The fast response of the local government to manage the situation and the remoteness of Mt Agung properties has produced an effective way to promote safe situation for the local who lives in the area, and everyone in Bali. Minor destruction from the earthquake had happened, but it not a thing to worry about as the attraction is far away from this mountain. Our very own President Joko Widodo had spoken, and he guarantees a full safety and even encourage tourist to travel to Bali as a celebration of new year. The president itself has traveled to the island earlier last month and had enjoyed the Kuta beach as his releasing spot. 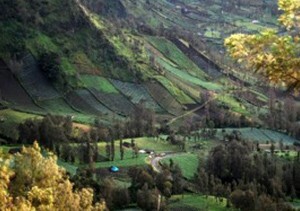 Nonetheless, Bali attraction remains its beauty while Mt. Agung recovering from the minor eruption happened last year. Air flight by itself is not always pleasurable. Cramp legs, humming ear, bad food, you name it. Then we came with the biggest fear of the Agung’s volcanic eruption, how it’s going to interfere with your flight schedule and safety. At this point, all of the volcanic dust that was erupted in September is already settle down and hence giving a safe environment for everyone to fly in and out from the island. Safety itself is not something we need to concern since the international airport system has taking into count every parameter of a flight, making modern air travel is one of the safest ways to get around. Thus, what if I’m trapped in future eruption scenario? Well, under the international law of air flight regulation, you will get a refund or will be accommodated until it is safe for you to travel to your destination. This is, of course, varying on different cooperation, but in general, the airport will compensate your loss on time. In general, Bali has experienced a lot of impact on its island and shock the nation. 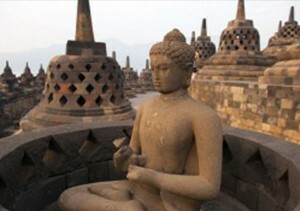 Yet it remains one of the most beautiful destinations in Asia and one of the most tourist-friendly places on Indonesia. 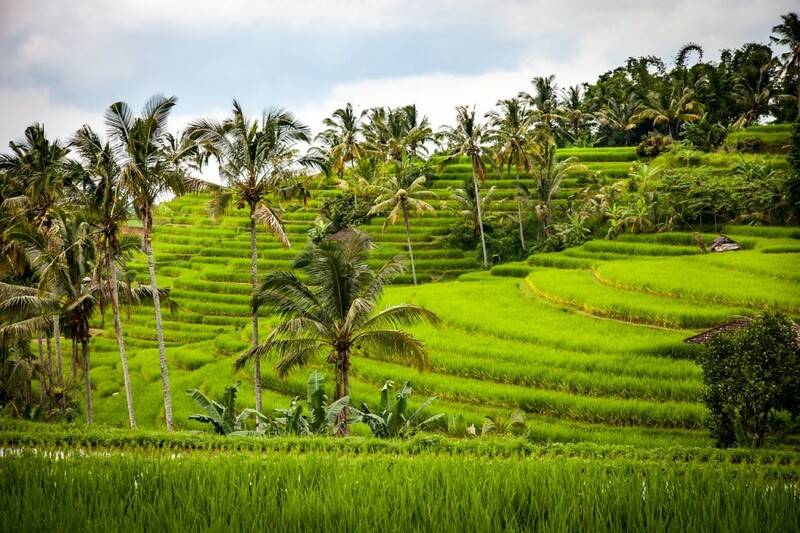 As it offers great beaches, food, and culture, Bali is surely not a place you want to miss this summer. Indonesia International Motor Show (IIMS) is one of the biggest Jakarta events in 2018 that showcase vehicle collections from major automotive brands. It is held for 11 days from 19th to 29th April 2018 at the Jakarta International Expo. 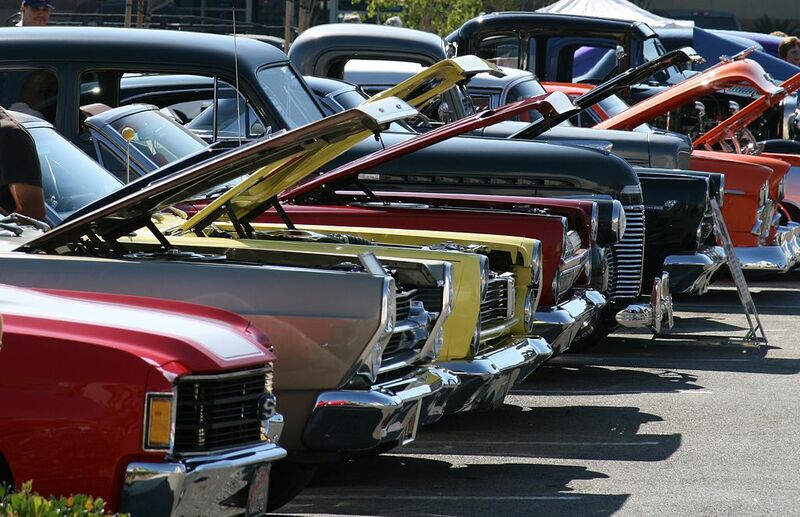 The diverse collections of vehicles from commercial to classic cars, has made the IIMS successfully attracted more than 10.000 audiences each year. The IIMS had existed in Jakarta event scene since in 1986, previously named as the GAIKINDO Car Exhibition. It was organized by Association of Automotive Agents in Indonesia (GAIKINDO) where for the first time, only 13 members participated in the event. In 1989, the exhibition later changed its name to Jakarta Auto Expo, and received a massive audience growth that elevates the Jakarta auto Expo into an outstanding Indonesia international event. Right now, there are around 100-150 automotive companies joining the IIMS. Collaborations were made with the Grand Prix International, for upholding the event as one of the best automotive expos in the world. 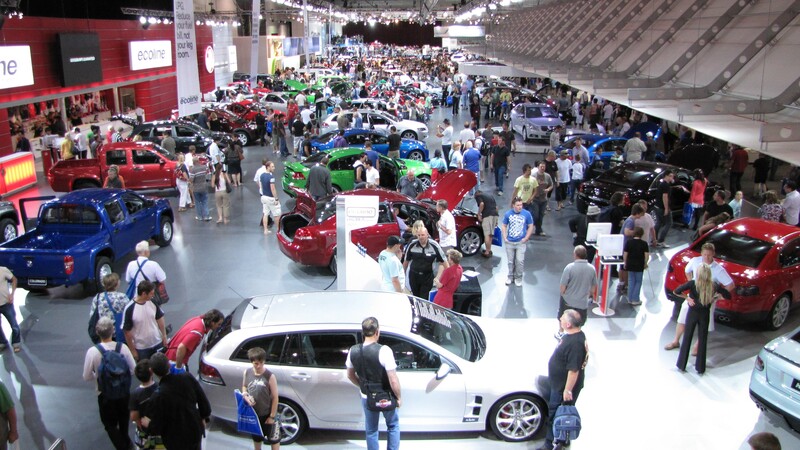 Each year, The IIMS raised several topics to become the expo’s main theme. For instance, the 2017 IIMS Jakarta expo set the Rise of Future Mobility topic as a result of awareness to promote green technology in automotive industries. Many eco-friendly cars were advertised in The IIMS, with highlights such as electric powered cars, using water to replace the oil fuel, in order to reduce harmful emissions as many as possible. Driverless autonomous cars marked their first debut in Indonesia during IIMS. Therefore, there are plenty of unexpected things for audiences to see. Beside showcasing car collections, The IIMS also features interesting activities. For instance, there are car modification contest, test drive area, car audio and accessories shops, and interesting door prizes. The location of Indonesia International Motor Show Jakarta Events 2018 situated at the strategic location of North Jakarta. It is only 20 minutes drive from the airport, and close to international hotel chains. There is an instant toll access to get to the expo center, so traffic jam won’t be a critical problem for those who came from far away. 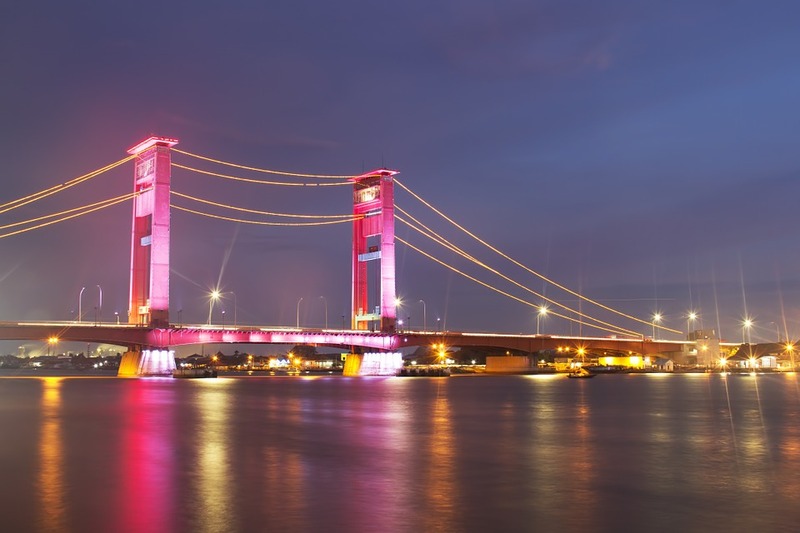 With the anticipated IIMS Jakarta events in 2018, it is the best for you to book tickets immediately for a trip to Jakarta. TOURFROMBALI helps to arrange your hotel reservations, itinerary, and expo tickets so you can have a pleasant visit to Jakarta and the IIMS show. 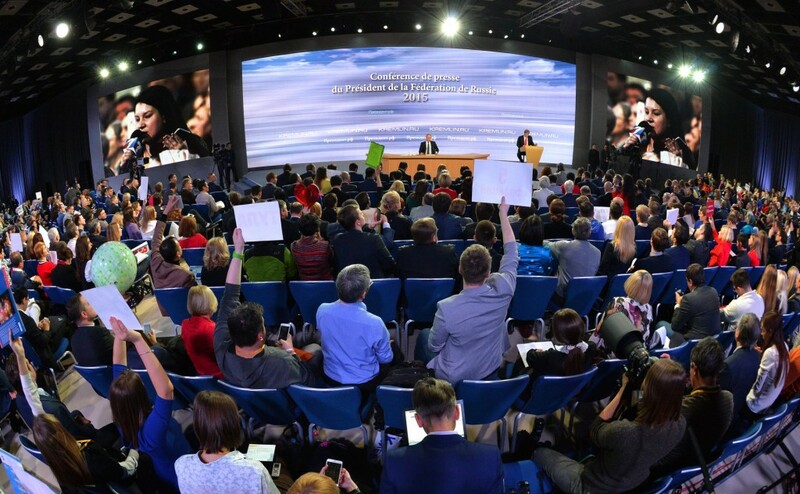 We also able to organize your international event, flexibly adjusted for your requires. Find more about us in the description below. Looking for a luxurious stay in Bali but under a tight budget? Don’t worry, Bali is not expensive as you think. In fact, you can still get a nice room for four people or family under 150 usd per night. From resorts, business hotel to bungalow, here are 4 list of Bali Budget hotels that are worth for the stay. 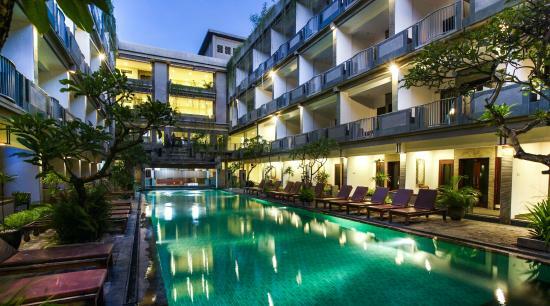 This four star Bali budget hotel is a perfect place for resting the day after wild nights. 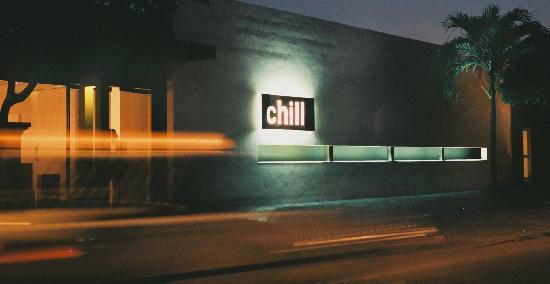 Situated in Legian, Bali’s hippest nightlife, this hotel is modern designed and artistically decorated. You will recognize the buildings instantly by seeing the large LED screen filled with fashion runway programmes. The room are large-spaced and elegantly decorated influenced by the monochromatic theme. There is even a rooftop pool where you can bring your children to swim as enjoying the sunset view. Superb! 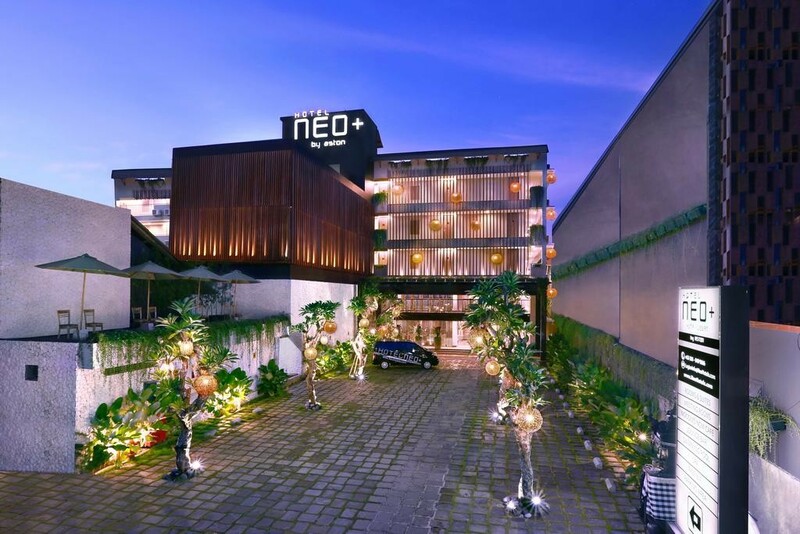 Still located in the Legian area, the NEO+ hotel is another Bali Budget hotel that you shouldn’t underestimate. At first glance, you will be surprised to see how the price can be very low with the facilities that they offer. The NEO+ hotel is minimalistic designed, with the influence of natures from hanging plants that surrounds the buildings. Managed by Aston hotel, NEO+ Hotel has inexplicable services and hospitality from the crews. The rooms are special, since it is relatively larger than any other budget hotel rooms in Bali. You can also choose the apartment room where it comes with a dining room and kitchen for larger groups. 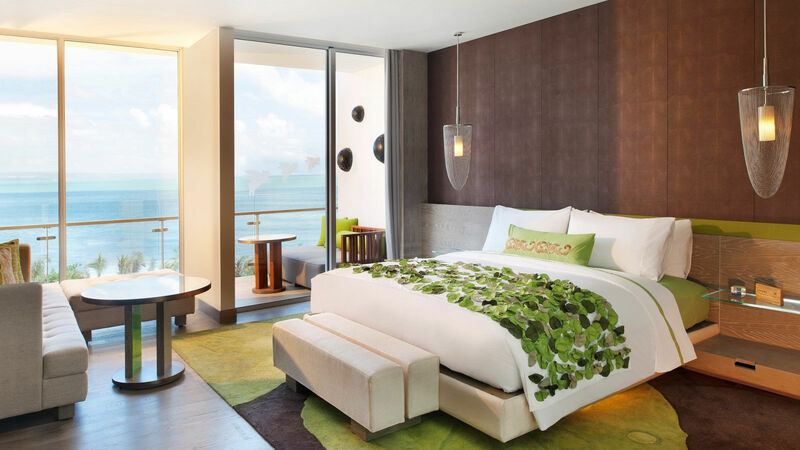 It is indeed that NEO+ Hotel is on our top Bali budget hotel list for families. Nusa Lembongan and Nusa Peninda are hidden gem located not far away from the Bali Island. 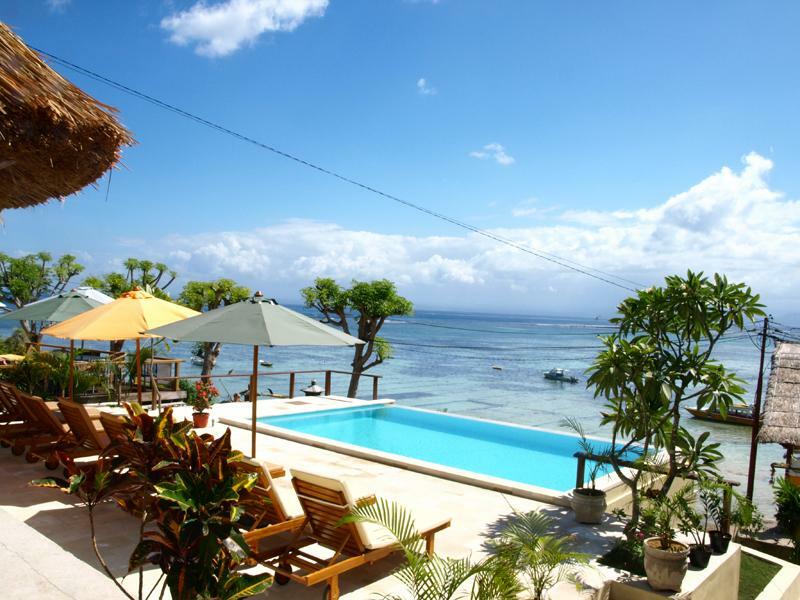 Despite of its isolation, Nusa Lembongan offers budget-friendly accommodations that are hard to resist. The Lembongan Reef Bungalow, for example. It is a bungalow complex, residing 1.3 kilometers away from the Mushroom Bay. Each bungalow was built facing the blue ocean. It resemblances a lot to the Maldives villas, and the good news is you can stay in this bungalow for a cheap price. For satisfying your appetite, they serve delicious international cuisine where you can dine along while enjoying the ocean view. A true representation of living in paradise. 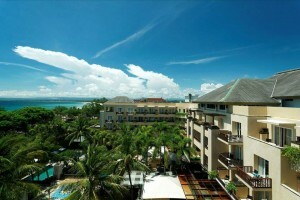 The Champlung Mas Hotel is a family hotel resort that offers spectacular view to the Legian beach. This hotel has cozy atmosphere with elegant homey rooms and natural landscape gardens that make you want to stay more. The room is very spacious and the bathroom also features s bathtub. The hotel has two swimming pool, located on the ground floor and rooftop. At the rooftop, you can have a BBQ party or just getting tan under the sun. All of the rooms come with private balcony or terrace. A great year is awaiting Indonesia. In 2018, there will be a lot of MICE Events in Indonesia, which largely comprise of the IMF World Bank Meeting and Asian Games. 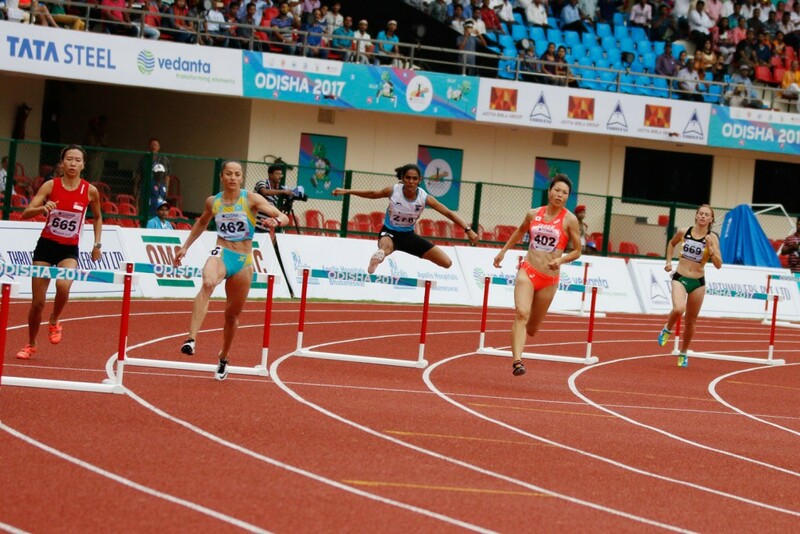 Those two events prove that Indonesia is ready to open itself for the international community and become an adequate events host that the world needs. Therefore, you don’t have to worry anymore when it comes to organizing your events in Indonesia. Here we give you a quick glance at Indonesia’s potentials and why it becomes a great place for creating memorable events that hard to forget. Whatever kinds of events that you are planning, the purpose of it is never been far away from attracting people to the business. 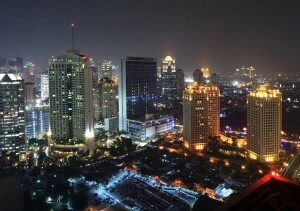 Indonesia is the 5th biggest country in the world, with growing population of 250 million people. Such huge numbers imply that Indonesia has wide market potentials in various fields. 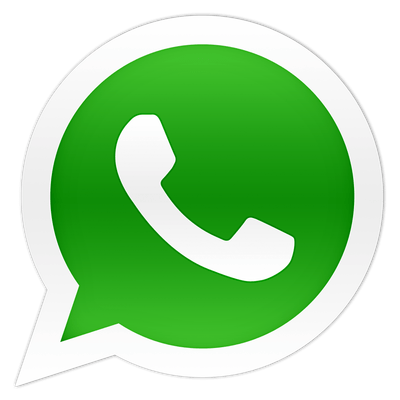 For instance, in the technology field, around 132 million people are active users the internet. This means that technology companies and startups have bigger opportunities to attain more users for using their products. Other fields that also appeal to Indonesia people are music, food, and modern lifestyle. Indonesia is a spot on when it comes to the MICE venues and facilities. Since the country is divided into five big islands, each island has their own international MICE events centers so people are easier to come by without spending a lot of transportation costs. 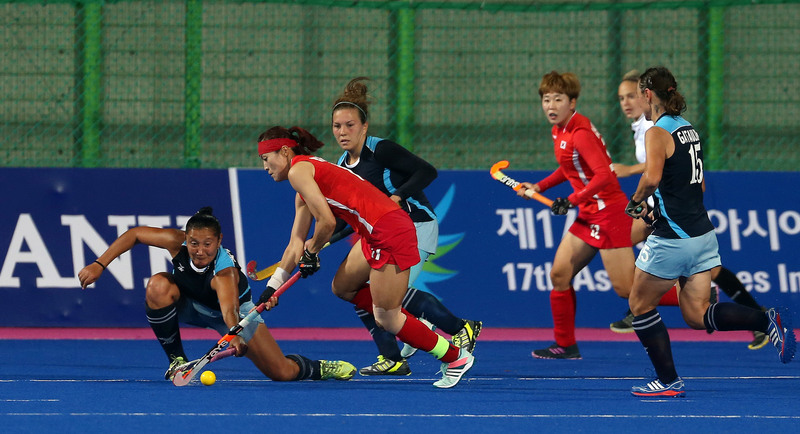 For sports events, Sumatera Island has integrated sports complex named as Jakabaring Sports City in Palembang. The complex is under renovation for welcoming the Asian Games. 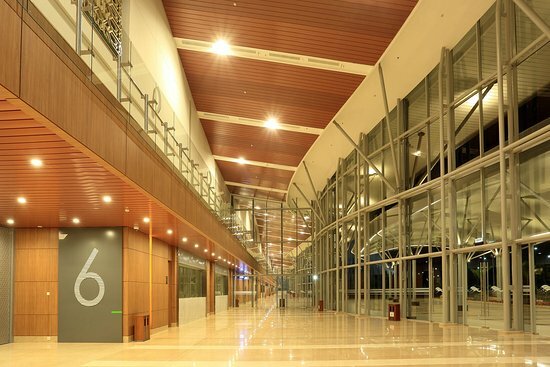 In Java, The Indonesia Convention Exhibition (ICE) BSD in Tangerang city, is the largest convention center in Indonesia which could accommodate more than 100.000 people. The place is often used for concerts and international conferences. Selena Gomez and BTS were top artists who had performed in the ICE BSD. Bali also has notable MICE venue known as The Nusa Dua International Convention Center, which become the main venue for next IMF World Bank Meeting. All of these venues are available for rent at reasonable prices and can be adjusted to fulfill your needs. After participating in the MICE events in Indonesia, there is nothing better than taking a rest after long hours of work. 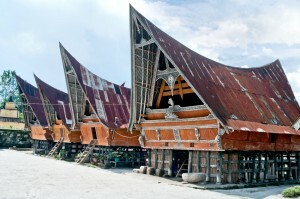 Indonesia offers plenty of attractions that are waiting to be discovered. 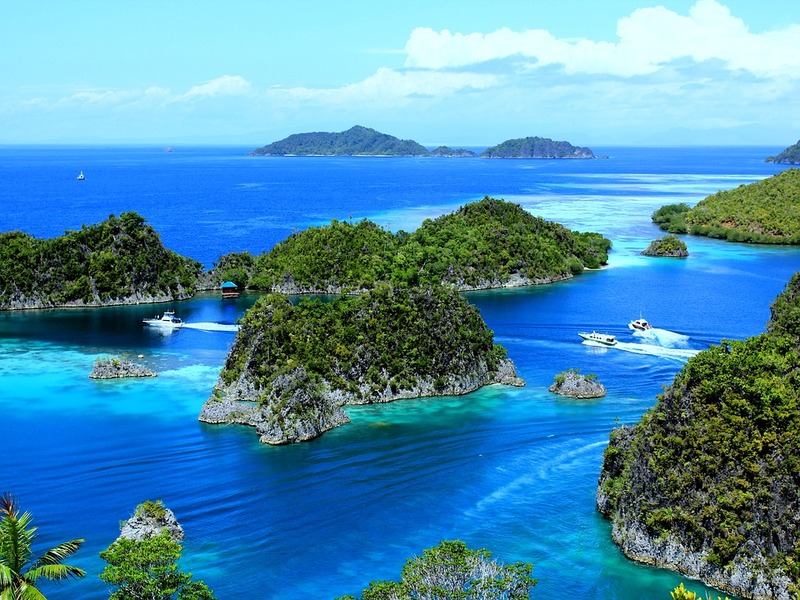 From lush mountains to pristine beaches, there are many activities you can do in Indonesia. For instance, you can take a specific Indonesia Tour Package Selection offered by local tour agencies which suit your preference. Beach lovers can go to Bali or Lombok Island for seeing their white sand beaches. If you are more into natures, you can take hike courses to Mount Bromo in East Java or do orangutan watching activity in Borneo jungle. Indonesia is very diverse, so by traveling to every place you can learn new experiences that only exist in here. Based on these facts, you can see that organizing events in Indonesia are not difficult and can bring many benefits for your errands. As prominent tour agency and organizer, TOURFROMBALI is ready to help to turn your event from sketch to reality. We always ensure that our event package comes with reasonable price based on your budget. For more information, check out the description below. The Ultra Music Dance Festival Bali. Ultra Music Dance Festival Bali is an annual event that tends to be the biggest dance festival on the island. With the theme of beachside party, Ultra Music Dance Festival Bali invited audiences to party non-stop with a backdrop of the beautiful sunset. This dance event was held from 14-15 September 2017. Get to know more about Ultra Music Dance Festival Bali with our comprehensive guide below. Originally formed as Electronic Dance Music (EDM) recording company, the Ultra Music was used to be the basis of world-class DJ producers for publishing their tracks. In 1999, they started to host a dance festival event in Miami, which become a game changer in the music industry. This was caused since most music festivals were dominated by rock and metal genre at that time. The dance festival later expands the event into bigger dance event, with more spectacular stages and performances. 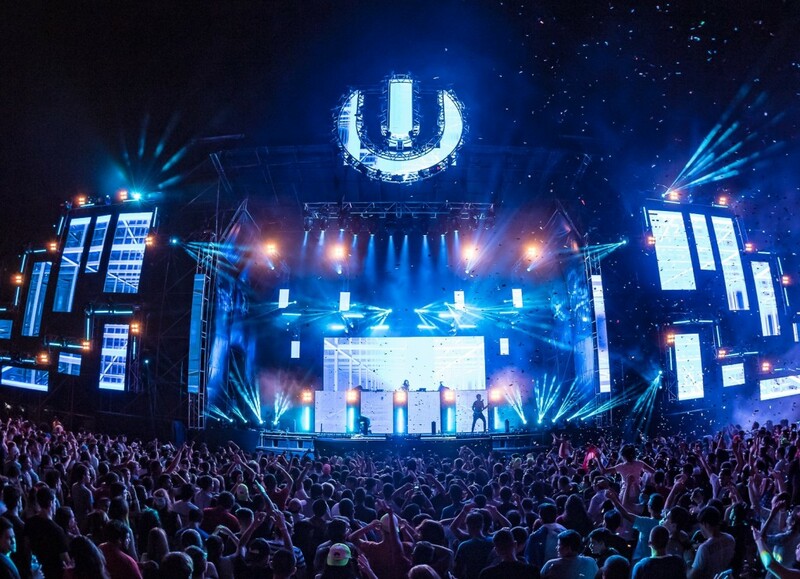 Due to the massive rise of audience’s demand, the organizer later brought Ultra Music Festival for a world tour, where they selected some of the party places around the world as the festival host. 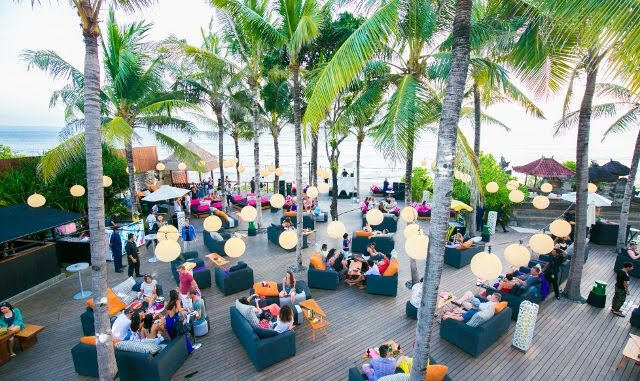 Since 2015, Bali had chosen to be the event host in Indonesia, where the event annually took place in Potato Head Beach Club, Seminyak. The event is also held in other countries such as Argentina, South Korea, Taiwan, Australia, and many more. The Ultra Music Dance Festival Bali is divided into two stages. Each stage is fully decorated with vibrant lights, bright projectors, and premium sound system. Famous DJs are often playing the set live at the main stage. On the other side, the Resistance stage features more underground DJs that focus on playing specific genres. Every year, The Ultra Music Festival Bali invites various lineups that come from international DJs and local DJs. Hardwell, Zedd, Nicky Romero are some of the name lists who had contributed to this year’s Ultra Music Festival Bali. There are around 10.000 people attended this festival and the numbers are predicted to increase continuously in next year. Ultra Music Dance Festival Bali provides strict age regulations for people who want to enter the event. Because of alcohol involvements, attendees who are under 18 are not permitted to join the event. No drug policy is also included since Indonesia national law prohibits the drug usages in any kind of circumstances. With the massive audience that will come to Ultra Music Festival Bali, having an adequate Bali accommodation during your stay is important. Preparing yourself for the party ensures that you will keep energized to dance along and have great times with friends. Therefore, tourfrombali, an established Bali travel organizer is ready to help you on organizing your trip right after you arrive at the airport. For more information, see the descriptions below. We all know that Bali is the most beautiful city to be visited for. When you hear something about Bali, we will directly imagine how enjoyable we will be to play around the beach, get our skin tanned, enjoying seafood in the seaside restaurant, and many other things related to Bali nature. But Bali is not only about panorama or scenery, it does also have the most relaxing SPA treatment services that will be offered to you when you visit Bali. Once you let your body and face be relaxed in Bali spa treatment, you will just feel an enjoyable and relaxing sensation that you will ask for more. 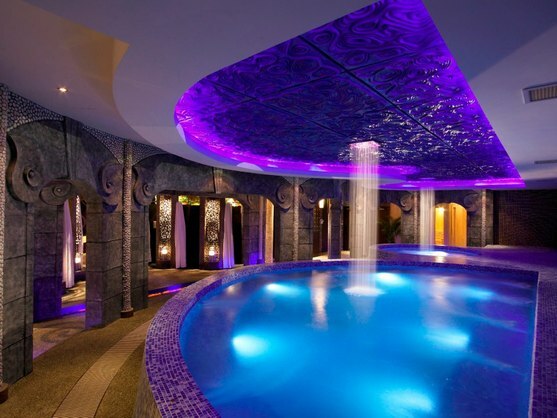 Here are 4 best Bali Spa treatments in Bali that you should try! 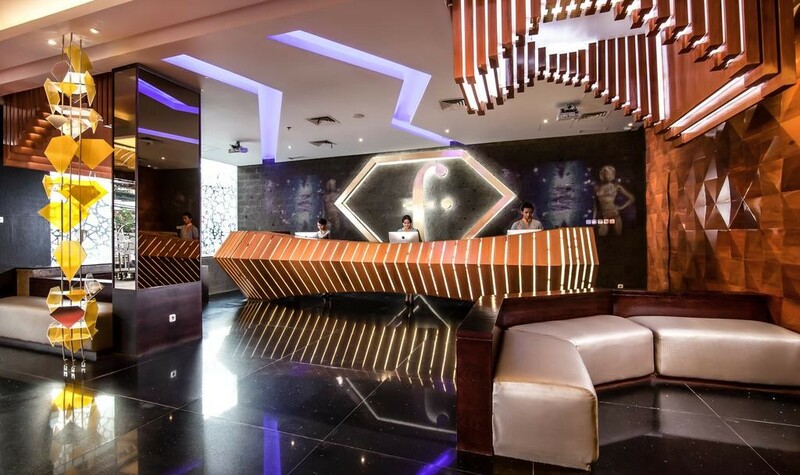 G-SPA Bali is located in Gatot Subroto, Bali. This place has ten Bali SPA therapies that offer you the feel of heaven and unstoppable harmony once you visit. It offers you the best treatment all over your body and let you feel the pulchritude Bali traditional massage. For its reflexology, face and arm massage, it guarantees you to get the relaxed result in the end. You can also enjoy the traditional massage ritual from the East while the therapists all have the ability to do yoga, meditation, and any other rituals. 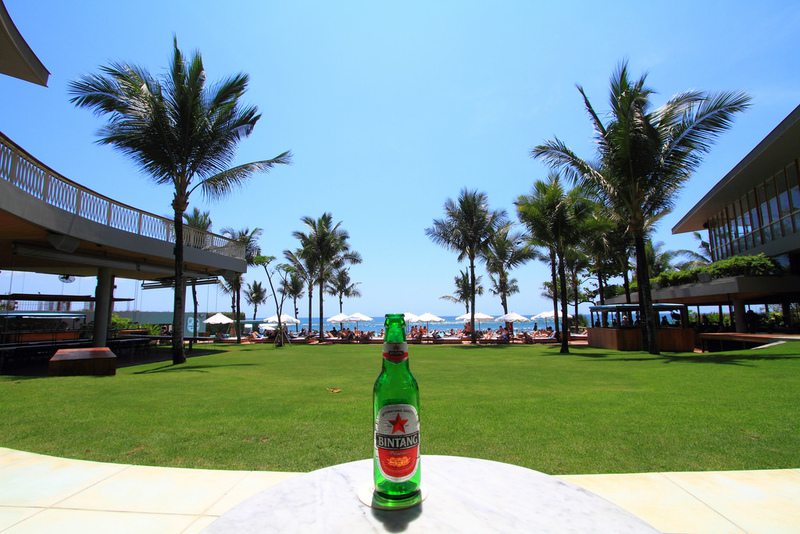 Seminyak is well-known for its beautiful scenery of rice fields and beach. Now, if you feel that you wanna treat your body as a whole when you get tired of playing around Seminyak, Chill Reflexology offers your the best therapies to be tried for, and you will be welcomed by free welcoming drink! This place also offers you unique foods and drinks, because all is made by herbal ingredients. There are special packages you can choose to treat your body and give you guarantee to cure you of pain and stiff. Again in Seminyak, Bodyworks Bali Spa also takes places in Seminyak to give you the most luxury place to have SPA treatment. 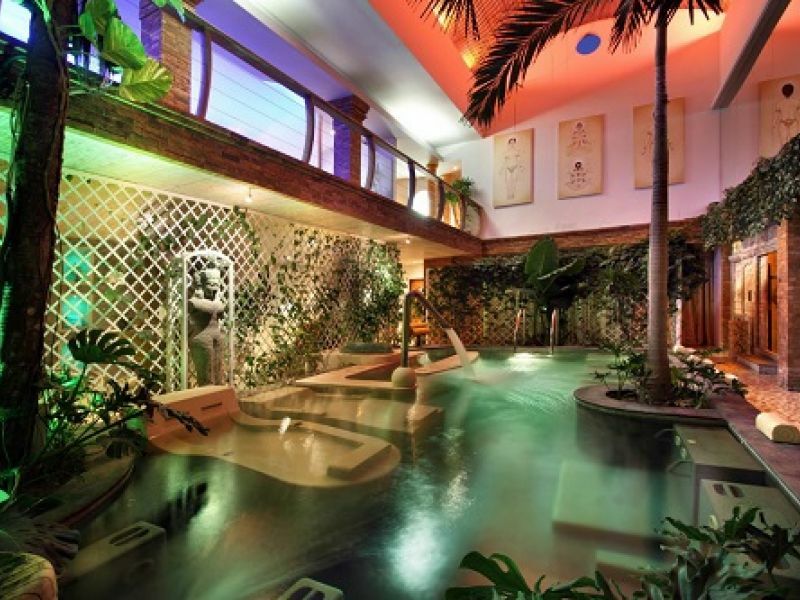 This SPA treatment is the most favorable place for local and foreign tourist. What is special from this place is the offerings because it fulfills what you need. Facial, massage, waxing, sauna, until hair treatment are all available for you. With only takes 5 minutes from Potato Head and Ku De Ta, you will never regret to be massaged in this place for sure! “Martatilaar” is not a strange name for the beauty world. SPA House Martatilaar can be found in all big cities in Indonesia with the different unique concepts in each city. Bali offers you SPA House Martatilaar which is located in Seminyak. This place adopts Java architecture combined with Chinese furniture coming from India. Here, you can get SPA treatment as Java nobles often get. The technique of the massage is also the combination of Java and Chinese massage. When it comes to the best place for having spa in Bali, The Eastern Garden Martatilaar should be on your top list. 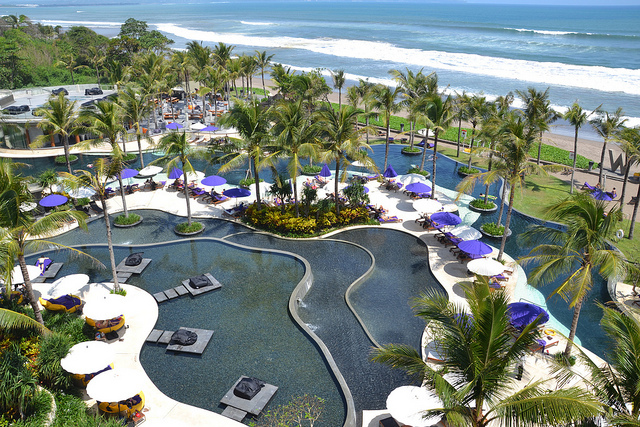 The W Seminyak Bali Hotel is a 4 stars hotel which has 237 rooms, suites, and villas in total. This hotel is located in Kerobokan, that famous for its tourism places, such as rice fields, beaches, and many others. It has a beach view to be seen every day, and you can breathe the fresh air from beaches combined with sunrise in every morning. With only 25 minutes from the Airport, the W Seminyak Bali is one of Bali hotel which is easy to access and giving you the best experience of your visit to Bali. The visitors can enjoy the beautiful scenery of beach, having fun on the beach, and have a sun-kissed there. While spending the nights in the hotel, the visitors can do many things inside. The hotel provides swimming pool which controlled by the staff who are always available to serve drinks and ice creams. The visitors can also use the hotel’s Sound Suite, a private recording studio with latest professional equipment. W’s Spa is also opened for 24 hours to serve all visitors who want to get the best relaxing times and refreshing minds. Visitors are offered complimentary access to the Hot Stone Bath and Cold Plunge Pool, as well as to the hotel’s fitness center. High-speed Wi-Fi is available throughout the hotel and the business center, which has a library stocked with books and DVDs. The functions rooms also allow W Bali to host weddings and business events. Furthermore, the hotel interior design is beautifully settled to please the eyes. It is a vibrant hotel which is playful yet composed with full of energy, but without ignoring the space for you to sit down and relax. There are four swimming pools, resemblances a rice terrace designs combined with curvaceous edges. Together, they are strategically placed to look out on the beautiful Seminyak beach. 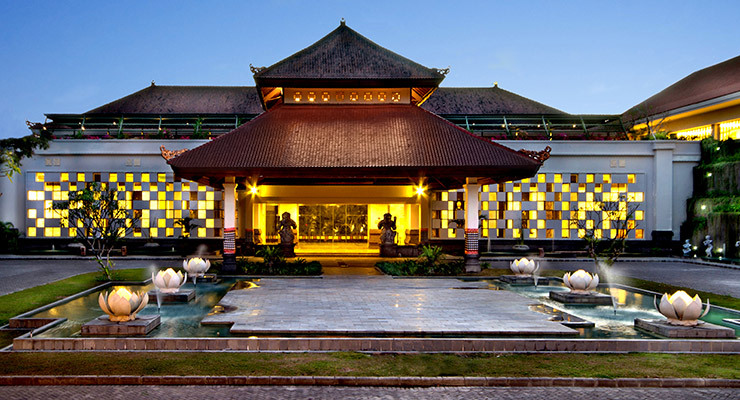 The luxury hotel is full of lively atmosphere and can be used for as prominent venue to host Bali events. As for accommodationg the needs of Bali Travel, the hotel has 141 suites, which are all the same in terms of design and amenities. There are the Garden View Retreat suites which are the W Seminyak Bali hotel’s standard room, then followed by the Sea View Retreat suites. While the communal areas of the hotel are designed with colorful and energetic ambience to spark the energy, the suites offer plush spaces to rest through the comfy L-shaped couch, the large bath tub (big enough for two), the king-size bed (made up with 350-count Egyptian cotton sheets) and the couch and terrace chairs on each suite’s private patio. 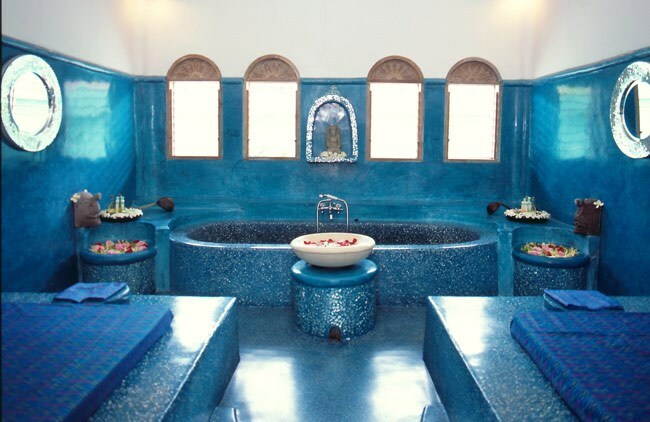 The colour of the rooms are also eye-catching. It has a green basin, bright carpet and scatter cushions, which has really natural tones. Each suite is well appointed with a luxurious “rainforest shower” and bath amenities, Bose sound system, iPod docking station, large flat-screen TV, minibar and ironing facilities. 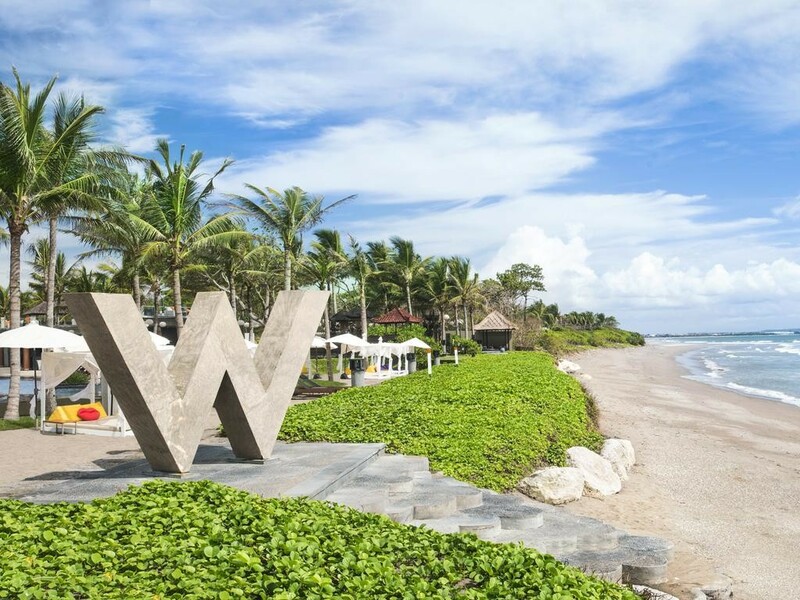 The W Seminyak Bali Hotel is well-known as an unique hotel which provides seaside dining, combined perfectly with sea scenery. Ice bar and sea-inspired Starfish Bloo restaurant are also chic day-into-evening favorites, with vast selections of champagnes and cocktail, Pan Asian Cuisine, as well indulgent brunches. Within the spa complex, a casually sophisticated Chill Bar offers Mediterranean feast and fresh juices (also available at the central W Lounge). For those who are seeking more privacy, they can dine at exclusive six-seater Cellar restaurant or at an intimate 16-seater fine-dining restaurant, the 1 Below. To sum up, the W Seminyak Bali is the luxury yet enjoyable hotel that can give you best experiences to spend your holiday in Bali. With the outgrown number of Bali hotel accommodations, tourfrombali helps you to choose the best luxurious accommodation that fits your needs during your stay. Get the best hotel deals and affordable bali tour package with us. For more information, check out the links below.